On October 27, 2017, Prof. Volker Markl  offered a presentation on the “Benefits and Potential Risks in Data Analytics Research“ at the Freedom and Responsibility in IT Sciences Workshop held in Darmstadt, Germany. The focus centered on the challenges prevalent in the dual-use of new information technologies. In particular, where there are many obvious benefits, but also potential opportunities for misuse (e.g., new ways of influencing consumer behavior or selective opinion-forming), which are not always immediately apparent. Who bears responsibility in the case of an unintentionally defective application or even deliberate misuse of new research results and methods? Should researchers hold themselves accountable? Should the risk of abuse be taken into account when choosing research topics? Should funding agencies ignore the responsibility associated with the misuse of research findings? and approached these questions from varying perspectives. 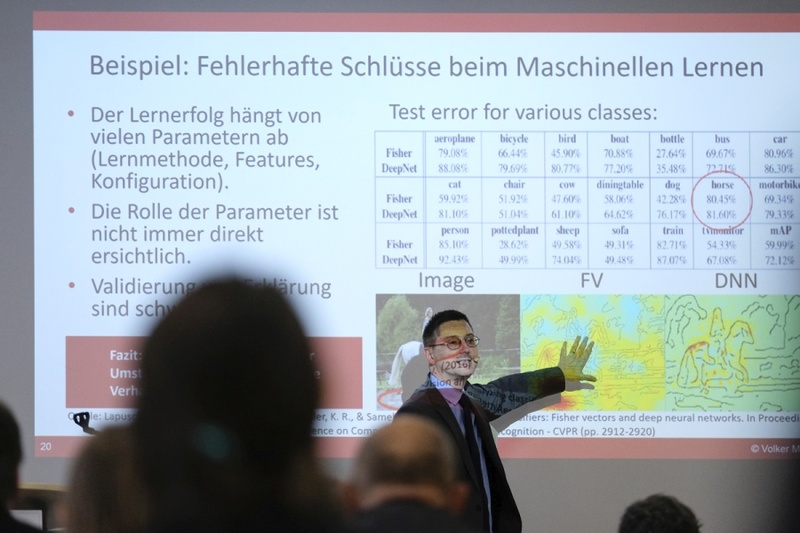 The event was sponsored by the Joint Committee on the Handling of Security-Relevant Research, a committee established by Leopoldina (the German National Academy of Sciences) and DFG (the German Research Foundation). Workshop attendees included IT Researchers, members of German academic institutions, non-university research institutions, as well as representatives from business, political organizations, and society. Chair of the Database Systems and Information Management (DIMA) Group at TU Berlin, Director of the Berlin Big Data Center (BBDC), and Director of the Intelligent Analytics for Massive Data (IAM) Group at the German Research Center for Artificial Intelligence (DFKI).